In a 2014 academic article, terrorism researchers Clark McCauley and Sophia Moskalenko describe two types of 'lone-wolf' attackers. On the one hand, there are the 'grievance-motivated' ones, often suffering from psychological problems; loners with few friends. Into this category we can put the Norwegian far-right terrorist Anders Behring Breivik, the Pulse gay nightclub shooter Omar Mateen, neo-Nazi James Alex Fields Jr who drove into a crowd of pedestrians protesting a White Nationalist rally, and Devin Patrick Kelley of the Texas church massacre. Back home in Australia, we've had Man Haron Monis, the gunman behind the 17-hour Lindt Cafe siege in which hostages Tori Johnson and Katrina Dawson were killed, as well as Monis himself. It is difficult to sum up in a few unbelievable sentences every dark corner in which Monis skulked — from charity-scams in Iran, to stealing large sums of money, to sexually assaulting women while posing as 'Marcus' the spiritual healer, to writing hate-mail to families of Diggers killed in Afghanistan, to being charged as an accessory to his ex-wife's murder, to suddenly pledging allegience to DAESH. What fits with McCauley and Moskalenko's characteristics of lone-wolf terrorism is that he suffered from psychiatric problems; he expressed political and personal grievances; he was certainly marginalised from the Muslim community; he had — or at least claimed to have — weapons experience before the siege; and we can interpret the stress from being charged as an accessory to murder and 43 counts of sexual assault as his 'unfreezing' situational crisis, the trigger that motivated him to move from thoughts of spectacular violence to its actualisation. But McCauley and Moskalenko and other researchers also describe another type of lone-wolf terrorist: individuals with twisted empathy. Unlike the first group, they may not be socially disconnected or disturbed individuals. Instead, they are agonised by others' suffering or humiliation, and take it upon themselves to seek revenge or retribution. As Evelin Gerda Lindner wrote in an article for the journal Peace Research published shortly after the September 11 bombings, 'men such as Osama bin Laden would never have any followers if there were no victims of humiliation in many parts of the world'. There is a sense of outrage at the double-standards of Western politicians who preach freedom, justice, human rights and prosperity for their own people and yet deny the same to others. For example, a year ago Abdul Razak Ali Artan drove a car into an Ohio State University courtyard deliberately mowing down people, after which he leapt from the car and started stabbing victims with a butcher's knife. He was soon shot and killed by a university police officer responding to the rampage. But Artan, a Somali refugee, was described by those who knew him as polite, studious, and devout. Such an extraordinary act of violence was unexpected and seemingly unfathomable. "We need a new vocabulary to talk about lone-wolf terrorists. The 'flavour' might be Islamist-inspired jihadism or neo-Nazi white supremacy, but either way it's the same dish of hate, murder and spectacle." Yet, as CNN's Jake Tapper revealed, Artan had posted on Facebook: 'I am sick and tired of seeing my fellow Muslim Brothers and Sisters being killed and tortured EVERYWHERE. Seeing my fellow Muslims being tortured, raped and killed in Burma led to a boiling point. I can't take it anymore.' Artan self-radicalised and quickly shifted from rhetoric to actual violence — a step, it should be noted, most radicals don't take. But what both groups — the blighted souls and the twisted empathisers — have in common, is seeking to visit their pain on the rest of us in a public spectacle of shock and horror, as if that would force the world to recognise their torment. But to do that, they must disassociate themselves from perceiving the humanity of the people they would kill. Sadly, it seems it has never been easier to adopt a hateful worldview than today. We are saturated with messages of division from many of our politicians and in the media. Whether it is the huge economic disparity between the ultra-rich few and the many who are living on the edge of poverty; the fear of the changes and challenges that immigration brings versus the increasing numbers of genuine refugees on our doorstep; or the ever-simmering racism that continues to downplay, reject or simply ignore the needs and wants of non-Whites to prop up the structural inequality from which whites benefit, our postmodern, 21st century world is deeply divided. We need a new vocabulary to talk about the violence of lone-wolf terrorists. The 'flavour' might be Islamist-inspired jihadism, or it might be neo-Nazi White supremacy, but either way it's the same dish of hate, murder and spectacle. 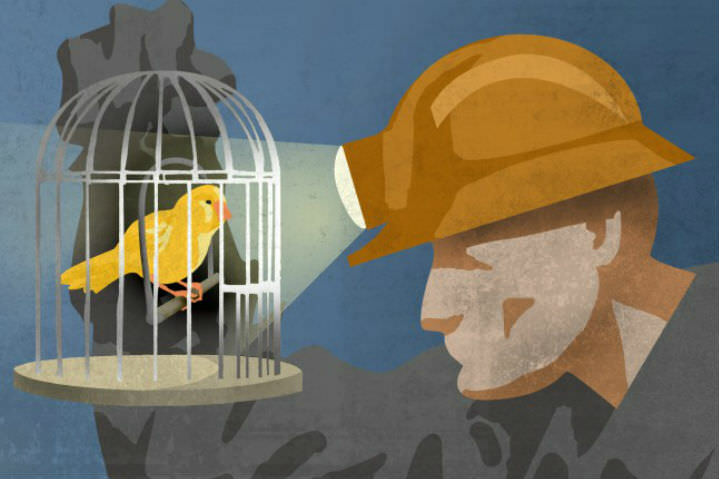 In a way, these lone-wolf terrorists are more like miners' canaries. Whether it is a paranoid loner, an enraged ideologue, a jihadist or a white supremacist, they are screaming out at the top of their lungs that something is terribly, terribly wrong, but the death-price is being paid by all their innocent victims. The only way we can prevent them, is to plug the noxious gas leak — we need to stop the inequality, stop the double-standards, stop the hate! One of your best, Rachel. When events happen which we can't easily explain we look to experts to interpret for us 'why?'. It's a reasonable response. We rightly deplore the actions of lone-wolf terrorists for the taking of innocent lives. When someone is screaming out at the top of their lungs that something is terribly, terribly wrong we do need to stop and think about why they perceive the situation in that way. It reminds me a little of the broadcaster in the film "Network" - "I'm as mad as hell and I'm not going to take this any more". People remember those words when other films are forgotten. Maybe it resonates for all of us at some level. So Rachel, the answer to psychopathic mass-murder is to make the world a totally perfect place with no reasons to feel grievance. Sounds good. Rachel isn’t suggesting an airy-fairy vision of a loopy utopia, Eugene. Naturally, like our politicians insisting on playing their obsessive Three Monkeys game, it depends on whether you’re paying attention. Just what did Rachel get wrong, in your opinion? Her article is not only comprehensive, but soundly reasoned; and the conclusions in terms of the two types of terrorist profiles aren’t dangerously original. Nor disputed by professionals. Consistent statements from security, police and intelligence professionals concur that hysterical and jingoistic reactions to any outrages attributed to Islam only exacerbate radicalisation. Yet our conservative warriors push jingoism, greed, prejudice and shameless scapegoating of disliked minorities (I’m not just talking Muslims but also unions, Greenies, Centrelink recipients etc) at every opportunity. Because a section of the population always rises to the bait (translating into votes). Or has before. But that is starting to backfire, because still-rational voters all over the West finally want real solutions, not diversionary game-playing. Just what is your solution for all those problem areas Rachel mentioned, Eugene? Haven’t you noticed they’re getting worse? Exponentially? Haven’t you noticed the rise of hate groups worldwide? Inequality? Increasing derision rather than dialogue and negotiation? Party lines got us into this, Eugene! The relationship between mental illness and terrorism will always be complicated. We still don't have consensus on exactly what is terrorism. Further, at least one Australian foreign fighter had diagnosed schizophrenia. 'Terrorism', Irf, is violence that other people do to us. 'Bombing, straffing, droning, targeted assassinations,' etc in the support of democracy is violence that we do to others. Attempting to understand any individual murderer takes you down a long dark tunnel to a place most people would never go. Experienced prison chaplains and psychiatrists, who deal with these murderers, would have some interesting stories to relate. Whether there are any valid general theories which could be distilled from these is, for me, a moot point. I suspect those who do good in these two functions need both wide experience and a variety of skills to achieve anything worthwhile. Rachel is spot on. It is down the mine that the canaries sing. If you look at the landscape of areas like South Wales and know the dreadful history of death in the mines there, it is a sort of dreadful analogy for the ruins of both Western and Muslim, as well as other, civilisations all around us. Can these bones live? We better both believe they can and attempt to do something about it in whatever way we can, however small it may seem. Unless there is peace in the hearts of all men and women the carnage will continue.